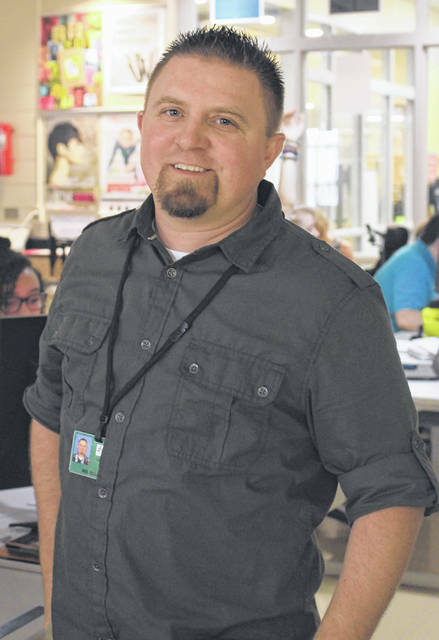 Brandon Ellars, digital arts and design instructor at Laurel Oaks Career Campus in Wilmington, was recently selected as a Claes Nobel Educator of Distinction by The National Society of High School Scholars (NSHSS). A role model to pupils, Ellars was nominated by a student for outstanding dedication and commitment to excellence in the profession. Ellars came to Great Oaks in 2015 to launch the Digital Arts and Design program at Laurel Oaks. A resident of Washington Court House, he formerly worked at the Washington Court House Schools and owns Exposure Photography. Each year student members of NSHSS are invited to nominate the educator who has made the most significant contribution to their academic career for the Claes Nobel Educator of Distinction award. This honor recognizes exemplary educators whose passion and devotion inspire their students to grow and develop as scholars, leaders and citizens. The National Society of High School Scholars seeks to advance the goals and aspirations of high-achieving students through unique learning experiences, scholarships, internships, international study and peer networks. From attending the annual Nobel Week festivities in Stockholm, to internships with major corporations and government agencies, pre-college summer study programs, and more than $2,000,000 in exclusive scholarships awarded annually, NSHSS is continually seeking new ways to provide lifetime learning and growth opportunities for academically talented and accomplished student leaders, and the educators who support them.